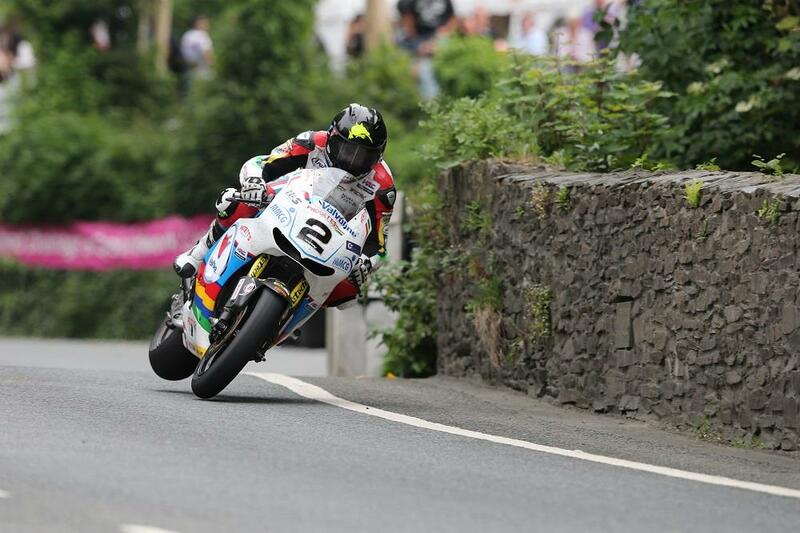 Bruce Anstey will roll out the Padgetts RC213V-S he rode at this year’s Isle of Man TT for the Ulster Grand Prix next month. The Valvoline-supported Padgetts squad both turned heads and ruffled feathers as they announced they’d run the £138,000 MotoGP replica around the mountain course. Anstey clocked a fastest lap of 131.595mph on the Marc Marquez replica, despite the machine only completing 24 laps across TT fortnight on top of Anstey riding battered and bruised after a 140mph crash on his Fireblade in practice week. The Flying Kiwi will now take the Grand Prix-inspired machine to the world’s fastest road racing circuit – where he set the lap record in 2010 with a whopping average speed of 133.977mph. “I’m really pleased that we’re able to bring the RCV to Dundrod and that I’ll get another run out on it before the season ends,” Anstey said. “Everyone has been asking Clive about whether it’s going to be there or not, there’s a lot of interest in it and now we can confirm it. “I think the bike will go down really well at the Ulster, I’m looking forward to setting off down the Flying Kilo, it’s fantastic to ride and should handle the fast, flowing corners of the circuit with ease. Noel Johnston, Clerk of the Course at the MCE UGP said: “The RCV is probably the most famous bike in the world at the moment, one that Bruce has described recently as an absolute weapon, with superb power yet pretty nimble and compact. “This is going to be sensational, a real treat for the spectators and it’s something I’m personally really excited about seeing. I’ve spoken at length with Clive Padgett about getting the bike to Dundrod, and it seems that Bruce and the team were just as keen as we were to make it happen. “The world’s fastest road racer riding this stand-out bike is going to be another big draw for fans who will definitely be excited to see and hear the RCV lapping the 7.4m circuit. “I’m particularly looking forward to seeing what he can do on it now that he’s recovered from the bruising he got at the TT. He’s won the superbike race three times in the last five years, let’s see if he can do it on the RCV. “Back in 2013 we saw Bruce parade his native country’s most iconic bike, the Britten V1000, one of only 10 in the world. That was a feast for the eyes and the Honda RCV will be no different,” Johnston added.